County Council Bill 78-18 was introduced at the July 16, 2018 County Council meeting and will be heard at the September 17 7pm Council Meeting at the Council Chambers, 44 Calvert St, Annapolis. This important bill assures that all modes of transportation including biking, walking, transit and motorized vehicles are considered when residential or commercial developments are planned and approved. Historically, only motorized traffic has been considered and facilities were added that either neglected the other modes or actually created hazards such as a shoulder converted to a turn lane. This bill will assure that the Complete Streets Resolution 45-14 unanimously passed by the County Council in 2014 will be followed. The bill was initially recommended by the Anne Arundel County Bicycle Advisory Commission and then a working group comprised of reps from the Bike Commission, Maryland Building Industries Association, County Office of Transportation and County Office of Law developed a mutually agreed bill which was then vetted with county Planning & Zoning, Public Works and Inspections & Permits. This is a vital step in the county’s effort to build a safe interconnected network of biking/walking routes including both trails and on-road bike lanes. 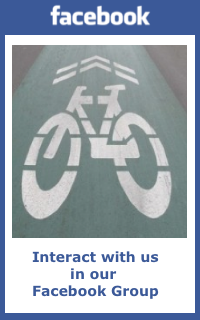 It provides for bike/ped connections among neighborhoods, schools, employment, transit, shopping, recreation and other destinations. The bill was introduced by Council Chair Peroutka at the request of County Executive Schuh and is co-sponsored by Councilman Trumbauer. Please let your county councilman know that you support this bill. This entry was posted in General, Legislation, News. Bookmark the permalink.